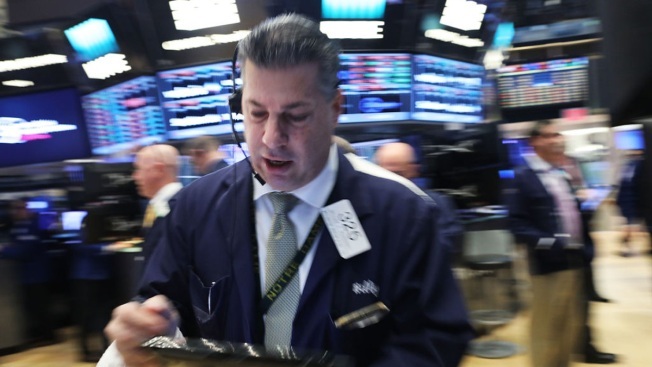 Multiple traders said this was the trigger for the move higher in the dollar, as well as the Dow Jones industrial average, which hit a new high for the day shortly after the initial currency move. In this file photo, traders work on the floor of the New York Stock Exchange (NYSE) on February 24, 2017 in New York City. The U.S. dollar suddenly surged against the British pound and other currencies Thursday after the reemergence of former FBI Director James Comey saying Trump never asked to end the probe, reported CNBC. The month old CSPAN video was interpreted as former FBI Director James Comey saying he was never pressured to end an FBI probe. However, in the video, Comey is answering a question specific to the U.S. Attorney General or "senior officials at the Department of Justice," not President Donald Trump. However, multiple traders said this was the trigger for the move higher in the dollar, as well as the Dow Jones industrial average, which hit a new high for the day shortly after the initial currency move.